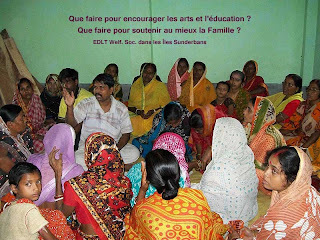 The present report presents, firstly the structure of Ecoles de la Terre in the light of our experiences in the different centres and schools in India. It is also an retrospective of our 13 years activities at Ecoles de la Terre. Lastly, we wish to stress the most important objective of our action, i.e. the search for financial autonomy of our programmes. We will first explain the history of our Ecoles de la Terre Association, its main development steps, the evolution of the different programmes and we will stress the main characteristics of our objectives. After a first stay in India, from October 1997 to June 1998, the Association was founded at Versoix, Geneva, on August 18 1998. It’s headquarters are today in Carouge, near Geneva. 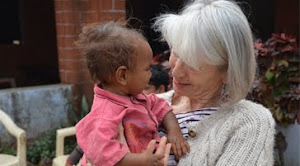 Until now, we are working only in India and provide assistance to poor children in the slums of Calcutta, Delhi and Jaisalmer, as well as rural areas of the states of Bihar, West Bengal and Rajasthan. We transfer the integrality of the donations and sponsorships to fund the running of our programmes and investments in our schools, training centres, dispensaries, health care units for the pupils, the microcredit for the mothers, the small enterprises, training farms and medicine shop. 1. 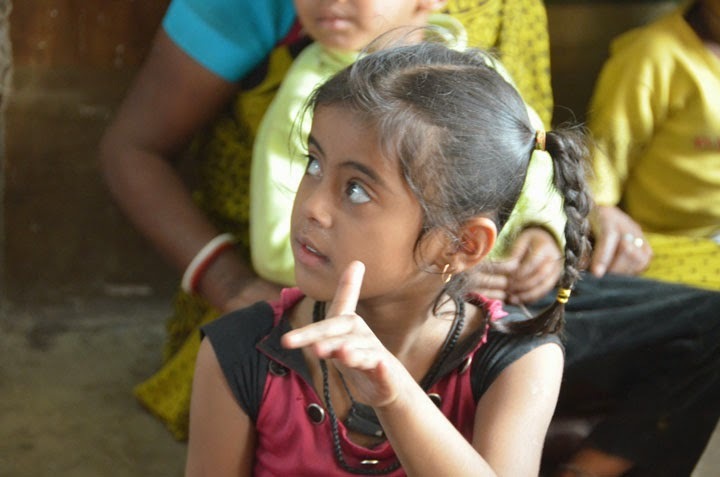 Preparatory schools in slum areas for children not enrolled in schools. 2. Follow-up classes for the pupils of slum areas in the different private and public schools of Calcutta. 3. Village schools in the Sunderbans islands, state of West Bengal. 4. 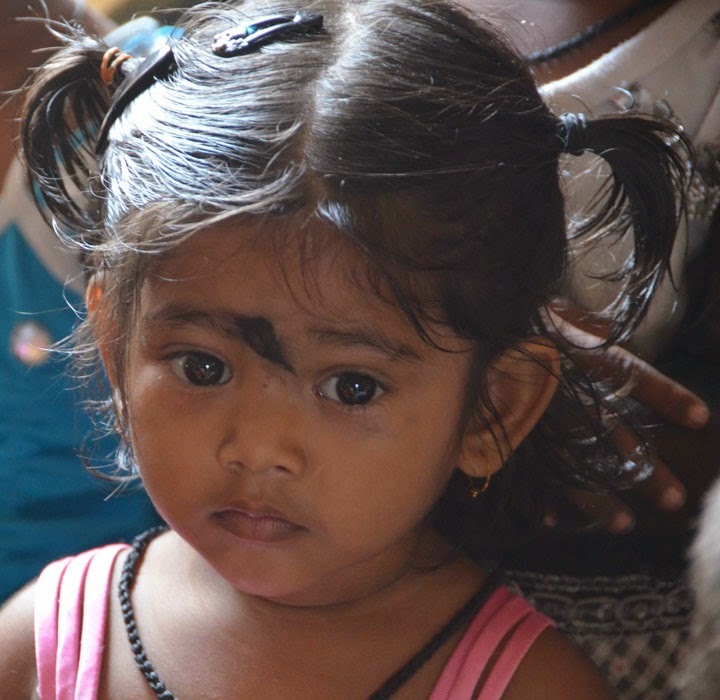 Medical follow-up for all the children of the slum and village schools at Calcutta and the rural area. We have firstly, renovated and developed the 5 schools existing in West Bengal and secondly, built new school buildings, e.g. 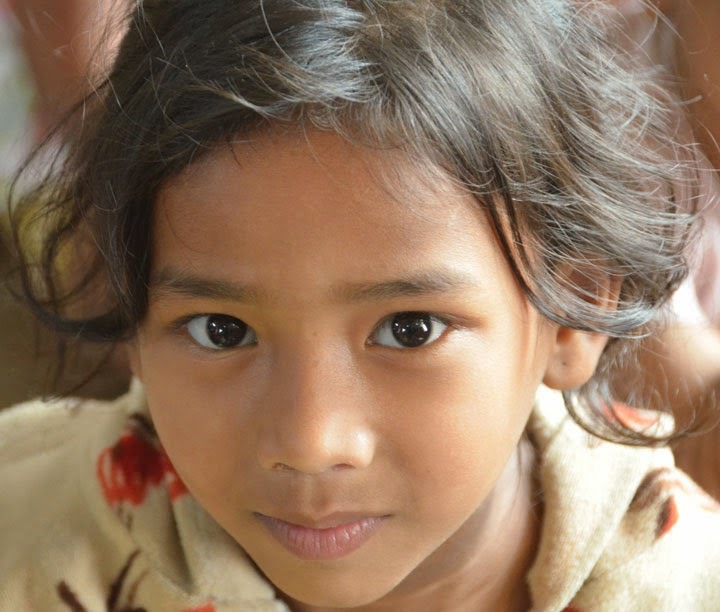 6 schools at slums in Calcutta and 3 rural schools for surrounding villages and the Sunderbans. During the year 2000, after our visits to Bihar, we decided to launch a schooling project in some 15 villages in the Gaya district. 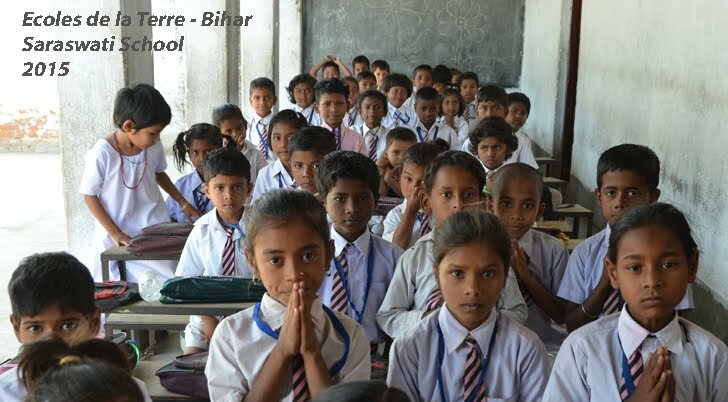 Not having found suitable local NGOs, we decided to establish an affiliate of Ecoles de la Terre (EDLT) for India in Bihar. In that way, our organisation was started and expanded to other Indian states in the following years. 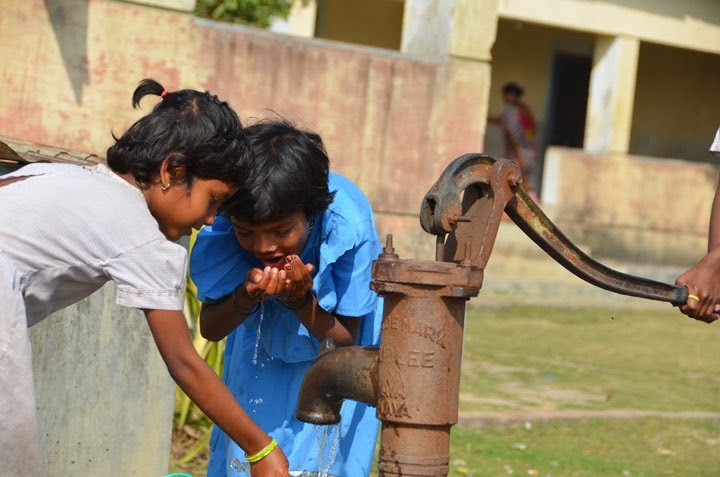 Until 2007, we continued to support the two above mentioned local NGOs in West Bengal and helped them find other sources of funding, so they could fly on their own. During this first decade of the century, the organisation of EDLT took form, by opening new schools in Bengal, Bihar and Rajasthan under its own flag and the development of new programmes. After substantial efforts, we also established a legal framework for EDLT at the Indian national level. 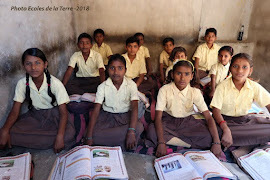 On March 31st 2007 “Ecoles de la Terre Welfare Society” was officially created after a long procedure and inscribed under the Societies Act in New Delhi. For the years 2000 to 2007, EDLT operated at the State level, that is West Bengal, Bihar and Rajasthan as well as the Delhi Territory, where we had obtained an authorisation to establish new schools at the local level. But in order to optimise our functioning and rationalize our activities, at both the administrative and operational levels, we chose to regroup as a Society at the national level. During the period 2000 to 2007, we have built new schools, started skills training centres, developed our medical assistance and prepared new projects; all that to establish the ground for the future Welfare Society. We mention in the following the achievements accomplished in Bihar, Bengal and Rajasthan, the three states where EDLT is active. In Bihar state, Gaya district, we have built and established 4 schools : Camijuli and Sujata schools in 2002, Jolibigha school in 2004, Nilamati school in 2005: all of them in rural areas. Three skills training centres for girls were also established during this period: Camijuli in 2003, Sujata in 2004 and Jolibigha in 2005. 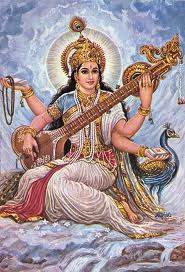 In West Bengal, on the Sunderbans, 3 schools were established : Ganga Sagar school in 2005, Srifaltala and Purba Jatta schools in 2007. Moreover, we launched in 2007 two programmes of “school follow-up” for children of poor families who continue their studies in Govt. schools. 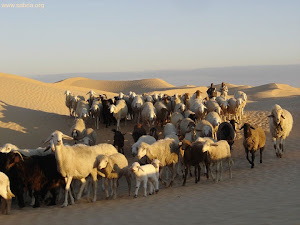 In Rajasthan, Jaisalmer district, we have built-up 3 schools : Satyadev school in 2005, on the outskirts of Jaisalmer city; and the schools of Nanufuji and Vidyasagar established in the middle of the Thar desert, during the year 2006. 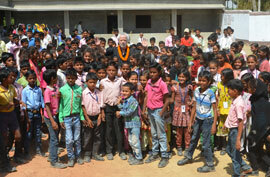 We have also organised a “school follow-up” programme in Jaisalmer. 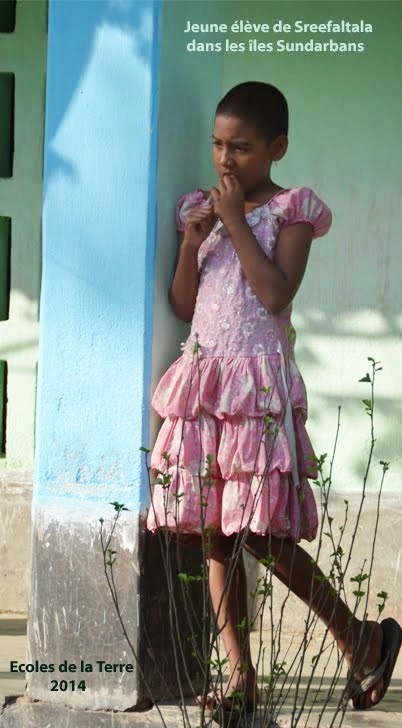 Since the year 2000, we have developed our activities essentially in the rural areas. It is in the countryside that the needs are most evident; and in those regions that the presence of other NGOs most rare! We explain here our decision to have our own EDLT structure in India, to form solid and stable teams, in order to launch programmes with clear objectives. Following our first years concerned mainly with the school and medical programmes, we want to pursue on this way, but keeping in mind the need for socio-economic programmes to consolidate and make durable our action in favour of the children and their families. 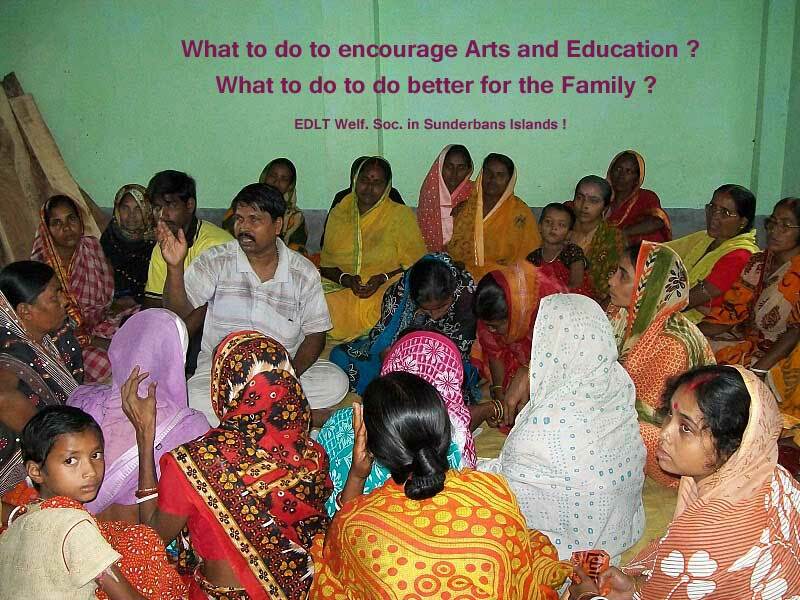 Since the spring of 2007, we have regularly organised national meetings of EDLT Society. The persons responsible for the states of Bihar, West Bengal, Rajasthan and New Delhi, attend as Members of the Society on those occasions; they assume the functions of President, Secretary General and Treasurer. 3.1 WHY THIS NEW STRUCTURE ? EDLT Welfare Society is based in Delhi and registered under the Society Registration Act 1860 at the Ministry of Home Affairs. Also our Society benefits from the Prior Permission to receive Foreign Contribution of the Foreign Regulation Act 1976. This legal standing is essential for several reasons. 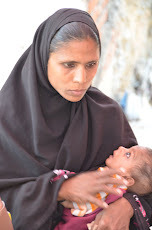 • As NGOs tend to multiply in India, as elsewhere, this official inscription under the competent authority allows EDLT to place itself under an official register of humanitarian civil societies. It is important that ONGs are subjected to the rules of the country where they are active. The checks or the annual audits of the central Govt. with the collaboration of the concerned State/Territory, are necessary; to avoid the creation of artificial NGOs. • This new status facilitates our collaboration with Govt. instances concerning cooperation and development. Also it legitimizes our partnership and collaboration requests, as well as justify our future demands for subsidies. 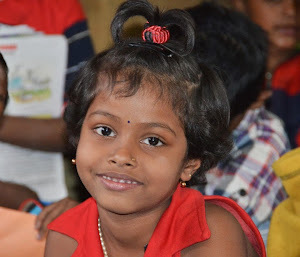 • Because of our activities spread out over the immensity of India – our most far away schools are located more than two thousand five hundred km. from each other – we can thereby work on a more coherent way, on a stable structure, while keeping in mind the particularities and traditions of each of the States. • This new structure allows to organize, adapt and rationalize the new programmes which tend to make permanent our projects; this durability plan is the consequence of our priority objective to ensure the self-financing of our schooling, apprenticeship and health care programmes. 3.2 THE PROJECTS TOWARD AUTONOMY ! Achieve self-financing in the management of our programmes has become a primary objective, with the evident purpose for the people we assist to avoid falling under the depressing “dependency syndrome”. Also the world economic crisis of recent has repercussions on the amount of commitments for funding of humanitarian projects. If this period of time is a delicate one for investments in our programmes, it also represents an opportunity to explore other funding sources for our projects. We work therefore in that direction. Up to today 2 types of projects have already been launched by EDLT with the purpose of generating resources in order to finance our schooling, apprenticeship and health care programmes. We present them briefly in the following. In order to better fund the functioning of the schools and the centres, we have decided to avoid the welfare/charity approach in the funding policy. The approach is as follows: if we wish to promote in the longer term the education of the most disadvantaged children, we have to help increase the income of their families, to lift their living standards and so better be able to afford to send the children to school. We have therefore launched our Microcredit programme, consisting in the granting of loans to mothers in urban and suburban areas. On one side we wish to lift the income levels of the families, through the self-employment and microenterprise creation gained. On the other side, the lending profits i.e. the interest collected on the loans will help fund the running costs of our schools and health care centres. This new programme was launched in September 2009 and is achieving a good success. With the logistic support of Credit Watch India, based in Calcutta, to benefit from their expertise in training our staff and monitoring our activities, we have up to now distributed an amount of 2,5 million Rupees. 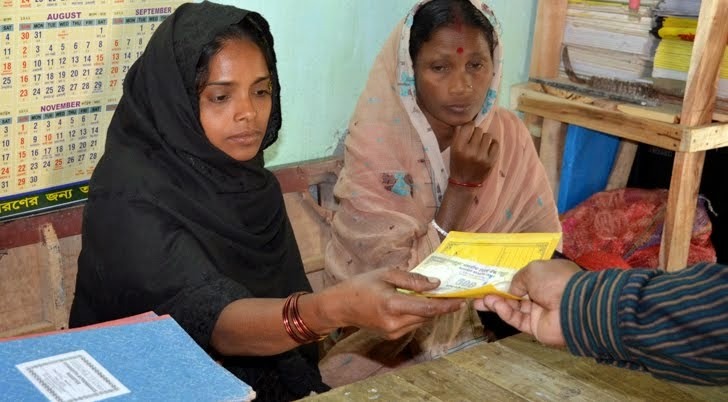 500 hundred families benefit from this self-employment support in the Jaisalmer district of Rajasthan, in the Sundarbans of West Bengal and the Gaya district of Bihar. 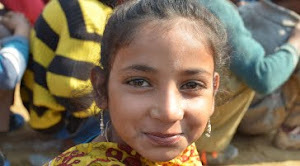 Between December 2010 and January 2011, further 200 loans of Rs.5,000 each will be distributed to as many families. Our short term objective is to achieve a volume of credit of 10 million rupees, i.e. 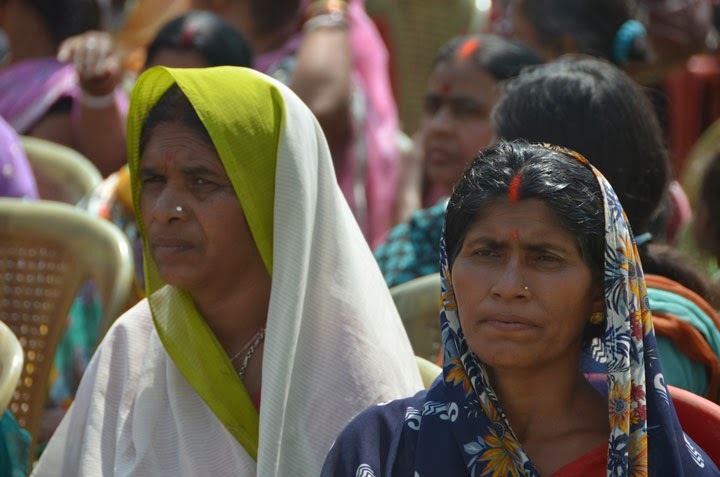 funding for 2,000 women with loans of Rs. 5,000 each. Without taking into account the revolving of existing loans after 40 weeks, such a volume represents for EDLT an income of 1,560 thousand rupees to be affected entirely to the running of the schools. This project intends, as the above one, to generate revenues in order to fund the running of the schools and apprenticeship as well as health care activities. It remains also within our goal of assisting children – schools and apprenticeship -, and their parents – medical scheme and dispensaries for both children and adults. This project covers until now 2 types of activities presented below. 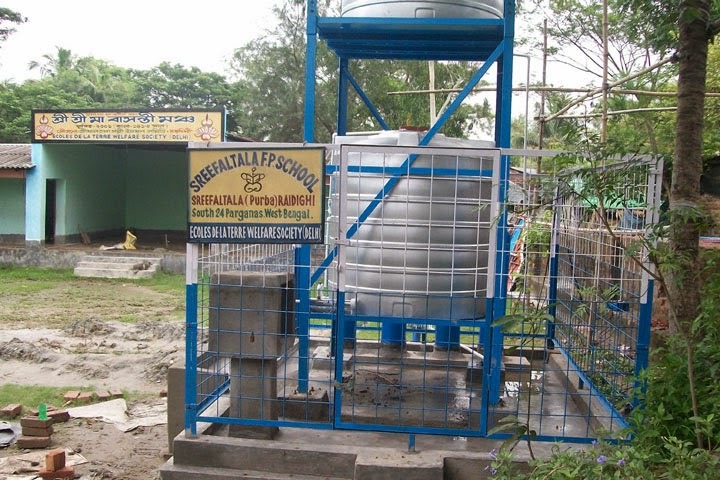 As we found out that there were strong needs for skills training in agriculture, animal rearing and the marketing of their products in the local markets, this programme was started in early 2010, in Gaya district, Bihar; a second farm is planned in Kultali island, Sundarbans, West Bengal. Our Bihar farm is functioning since last January; the first groups of trainees benefit from training workshops at the farm. The Kultali one will star work in early 2011. There also the goal is to use the income from those activities to fund the running of EDLT Society. We plan to budget revenues for the year 2011 already. 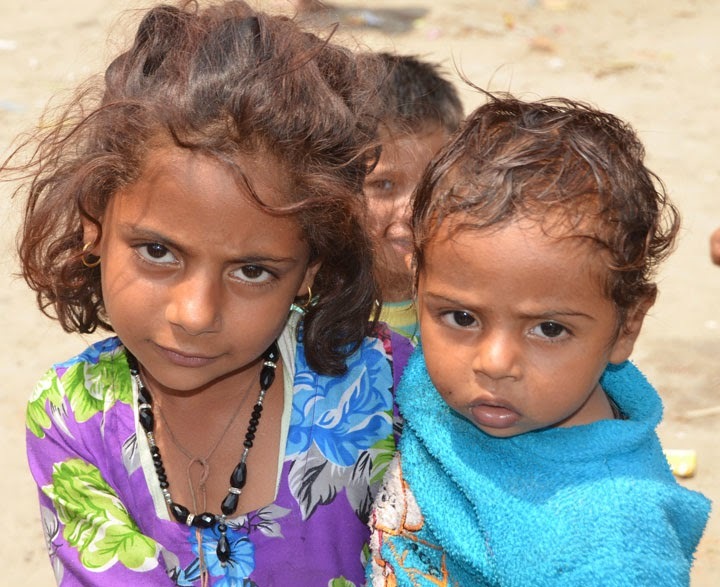 In Jaisalmer, we have opened in March 2010 a permanent medical centre to help the people of several slum areas around Jaisalmer city: Bhoota, Geeta, Garfoorbatha. In this last area, EDLT has opened a new school called Sunbean. We charge lower prices than other dispensaries in Jaisalmer city. 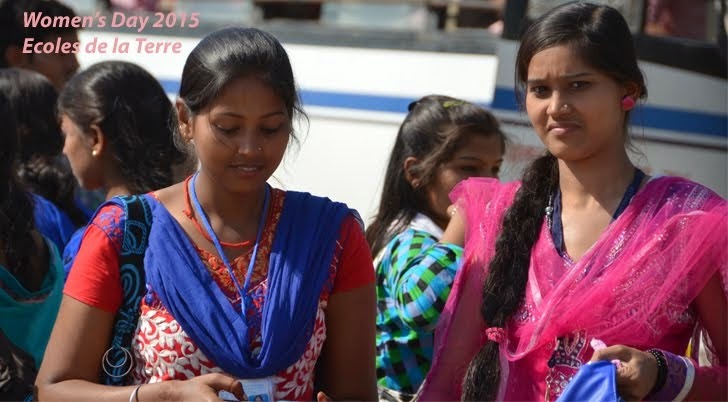 Our purpose is to deliver more advantageous services to the slum inhabitants, all very poor. 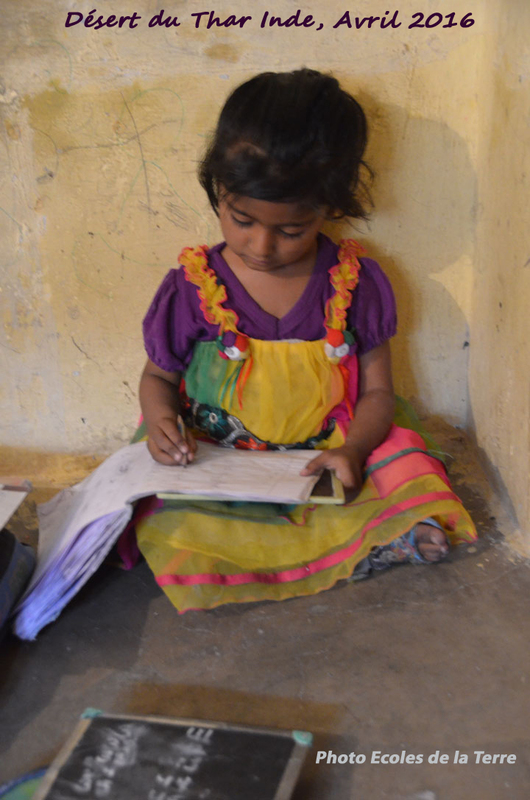 We have budgeted for this year 2010 a net income of Rs.100,000, which will cover part of the running costs of our schools in Jaisalmer district. Since the establishment of EDLT Society India in the spring of 2007, we insist on the need to ensure the means to function properly, not only from the funding provided by EDLT Switzerland, but also to make it capable of generating its own resources in India itself. This goal of achieving autonomy and self-financing is a priority; it is evident in all the new programmes launched in India in the last years. Our will is to develop our Microfinance scheme and to multiply our new activities of Enterprise projects in all the branches EDLT in the states of Bihar, West Bengal, Rajasthan and the Delhi Territory. 1. Opening in the fall of 2007 of our first Rural Dispensary in the school complex of Camijuli, Gaya District, Bihar. This rural clinic manages 2,000 consultations every month for the people of 15 surrounding villages, as well as the medical checking of the 1,000 pupils of the school. 2. Opening of two new schools during 2008. One is the village school of Saraswati, in Gaya, Bihar and the other school is the Sunbeam one in Garfoorbatha slum area, near Jaisalmer, Rajasthan. 3. 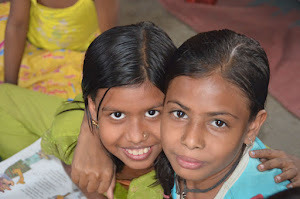 Launching in April 2009, at Dilchau Kalan slum area, New Delhi, of our Muskan school; it is the first of our schools in the Delhi Territory, where the HQ of our EDLT Society are located. 4. Inauguration in March 2010 of our first Training Farm in Nain Bigha, a village of Gaya district, Bihar. The purpose of the farm is double: on one hand to exploit the land with horticulture and animal rearing, on the other hand we manage a skills training centre for youngsters of the area, to train them in cultivation and animal rearing. 5. 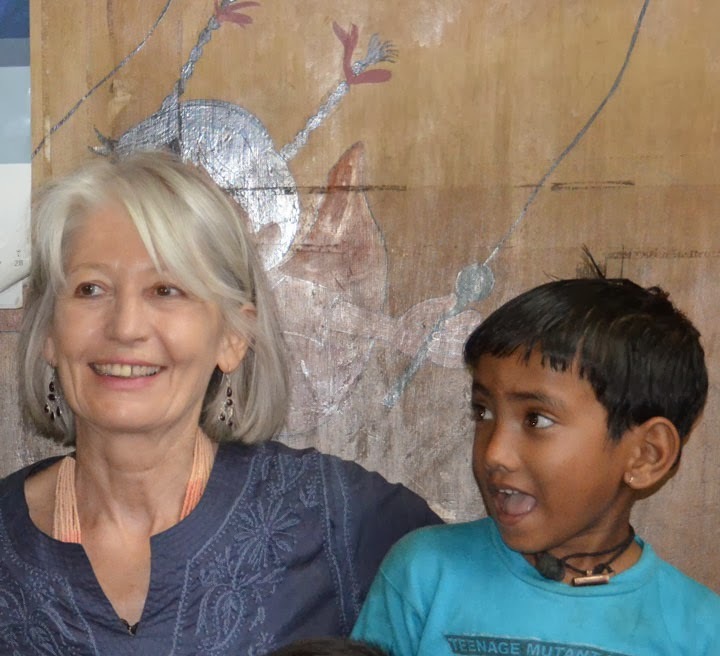 Opening in July 2010 of our Meharajot school in the Thar desert, Rajasthan. 120 pupils, who had never before attended school, have thereby started primary education; they live in the villages of Achala, Kirada and Lala, at some 60 km. from Jaisalmer. While waiting for the transfer of a donated piece of land where a new school will be built, our three teachers are imparting their courses in temporary locations lent by kind local people. 6. 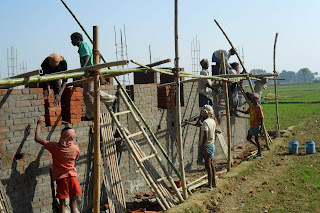 Construction of the Naba Kishalay school at Sonatikari village, Kultali island, Sunderbans, West Bengal. Beside this school inaugurated on August 15th 2010, a dispensary has been opened for the pupils and other inhabitants of this small island. 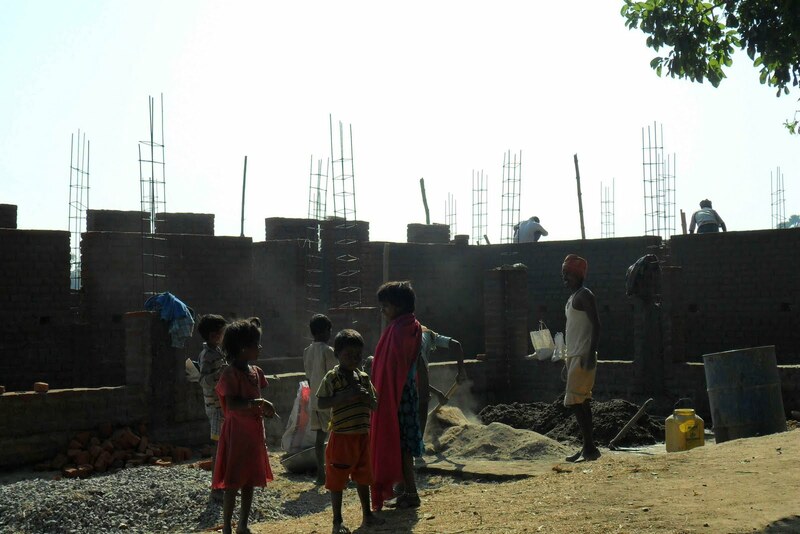 Also in Sonatikari, we prepare the opening in 2011 of another Training farm besides the school. We insist on our priority goal, on point 3.2, to be achieved: the self-financing of our education schemes. Since several years back, we are convinced that “giving” and fund entirely the cost of our schools and centres, is not a viable proposition for the future. In order to ensure the permanent viability of our programmes – school, apprenticeship, health care – there is no other solution than to launch economic activities which will generate revenues and profits. This is specially the case with the Microcredit scheme. This activity already generates profits from the interest collected, which are used to help fund the schooling side. We are still at the initial stages, but our target is clear: by December 2011, we will cover at least one third of all our running costs. We have to add that our Microcredit scheme has another main goal: that of improving the income levels of the concerned families. An example can show this: a group of women receives a loan for a period of 40 weeks, can purchase sewing machines and cloth, start making and selling clothes. 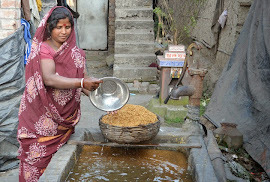 This an example in manufacturing, but there are many other trades, from horticulture to poultry rearing, from handicraft making to small shops, from transport to small shops, from wholeselling to retailing, etc…This allows for the start or the expansion of income-bringing self-employment to get the families out of poverty. In this quest for self-reliance we develop our Enterprise scheme, with always twin objectives; that of generating sources of funds for our schools and that of improving the living conditions of the poorer families. Take the Training Farm as another example to illustrate our approach: all net income generated from exploiting the farm is transferred to help fund the schools. Training modules are delivered to our older trainees wanting to improve themselves in running a farm. Lastly, the improvement of skills and techniques will be extended and disseminated to local peasants, for them to increase the productivity of their land and the quality of their produce, thereby improving substantially their earnings. We intend also to associate the two programmes above, Microcredit and Enterprise schemes, in order to provide credit for the growing of crops and buying of animals. By achieving the self-financing of our education and health care programmes, will allow us to use all the support and future donations of EDLT Switzerland only for new projects in new areas. This is the road we have chosen. Le présent rapport expose, en premier lieu, la structure d’Ecoles de la Terre à la lumière de nos expériences vécues dans les différents centres et écoles en Inde. Par ailleurs, cet exposé résonne aussi comme une rétrospective de nos 13 années d’activités au sein d'Ecoles de la Terre. Enfin, nous souhaitons mettre l'accent sur l'objectif le plus important de notre action, à savoir la recherche de l'autonomie pour le fonctionnement de nos programmes. Nous souhaitons tout d’abord exposer le parcours de notre association Ecoles de la Terre, citer ses principales étapes de développement, décrire l’évolution de ses différents programmes et faire ressortir les caractéristiques décisives de nos objectifs. Suite à un premier séjour en Inde, d’octobre 1997 à juin 1998, ladite association fut fondée à Versoix, Genève, le 18 août 1998. Son siège est aujourd’hui à Carouge, près de Genève. 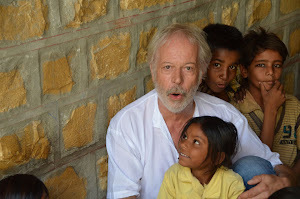 Jusqu’à ce jour, nous travaillons exclusivement en Inde et dispensons notre aide aux enfants déshérités des bidonvilles de Calcutta, de Delhi, de Jaisalmer, ainsi que des campagnes des Etats fédérés du Bihar, de l’Ouest Bengale et du Rajasthan. Nous attribuons l’intégralité des parrainages et des donations au financement du fonctionnement et de l’investissement de nos divers programmes qui concernent les écoles, les centres d’apprentissage, les dispensaires, les unités de suivi médical des élèves, les micro-crédits en faveur des mères de famille, les micro-entreprises – ferme pédagogique, « shop » médicale. 2. Classes de "suivi scolaire" pour les élèves des bidonvilles inscrits par nos soins dans les différentes écoles officielles – privées ou publiques – de Calcutta. 3. 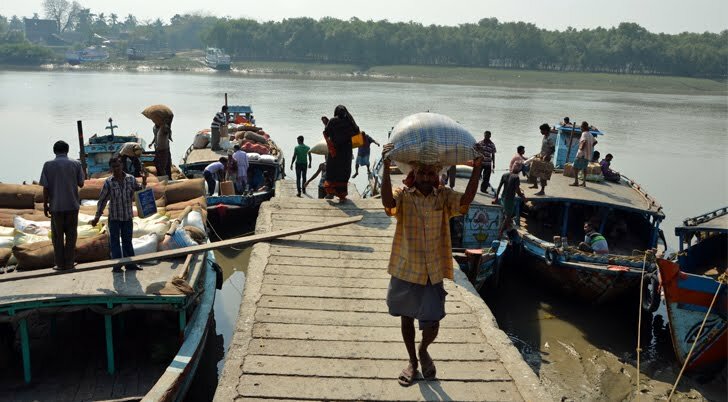 Ecoles de villages dans les îles Sunderbans, Etat fédéré de l’Ouest Bengale. 4. Programme médical pour tous les élèves de nos écoles de bidonvilles et de villages – à Calcutta et en campagne bengalie. Nous avons d’une part, contribué à rénover et développer les 5 écoles existantes dans l’Ouest Bengale à ce moment là, et d’autre part, construit de nouveaux établissements scolaires, à savoir 6 écoles de bidonville à Calcutta et 3 écoles rurales pour des villages de la campagne bengalie et des îles Sunderbans. 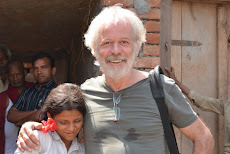 Au cours de l’année 2000, et suite à nos visites dans l’Etat du Bihar, au nord ouest du Bengale, nous avons décidé de lancer une action de scolarisation pour les enfants d’une quinzaine de petits villages situés dans le district de Gaya. N’ayant pas rencontré d’organisations locales travaillant dans cette zone, nous avons décidé de fonder l’organisation « Ecoles de la Terre » en Inde, dans l'Etat du Bihar. C’est ainsi qu’est née notre propre structure qui va, dans les années suivantes, s’étendre dans d’autres Etats fédérés du subcontinent indien. Jusqu’en 2007, nous avons prolongé notre soutien aux deux organisations bengalies précédemment citées et contribué à leur trouver de nouvelles sources de financement nécessaires à leur fonctionnement, afin qu’elles puissent voler de leurs propres ailes. Au cours de cette décennie, l’organisation « Ecoles de la Terre » prit forme, avec à l’ouverture sous sa propre bannière, de nouvelles écoles, au Bengale, au Bihar, au Rajasthan, et le développement de nouveaux programmes. Par ailleurs, nous avons produit un gros effort pour la constitution d’une structure juridique « Ecoles de la Terre » à l’échelon national. Le 31 mars 2007, après une longue procédure administrative, « Ecoles de la Terre Welfare Society » vit le jour et fut inscrite dans le registre des « Sociétés » du gouvernement central indien à New Delhi . Durant les années 2000 à 2007, le fonctionnement d’Ecoles de la Terre s’opérait à l’échelon des Etats fédérés de l’Inde, soit l’Ouest Bengale, le Bihar, le Rajasthan et le Territoire de Delhi , Etats et Territoire où nous avions obtenu l’autorisation d’ouvrir de nouvelles écoles au niveau local. Mais afin d’optimiser notre fonctionnement et rationnaliser nos activités, tant au niveau administratif qu’opérationnel, nous avons opté pour l’entité « Ecoles de la Terre » au niveau national. Durant cette période transitoire , nous avons construit de nouveaux établissements scolaires, démarré nos premiers centres d’apprentissage, développé notre structure d’encadrement médical, élaboré de nouveaux projets ; tout cela afin de dresser les fondements de la future société « Ecoles de la Terre Welfare Society ». 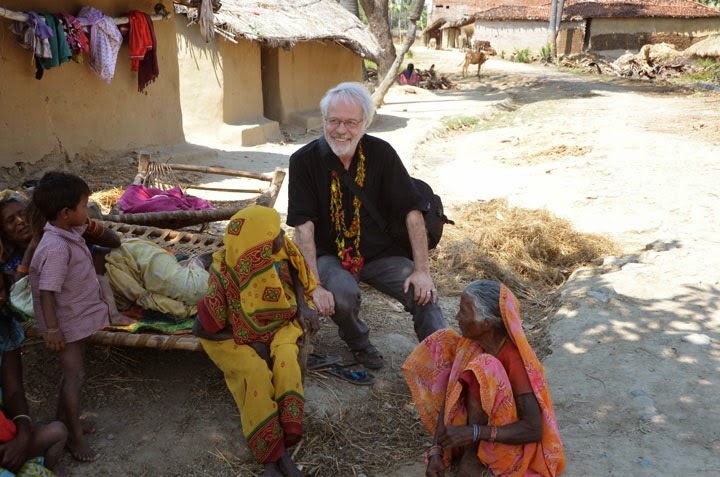 Nous mentionnons ci-dessous les réalisations accomplies au Bihar, au Bengale et au Rajasthan, les 3 Etats fédérés indiens dans lesquels « Ecoles de la Terre » déploie ses actions. 1. Dans l’Etat du Bihar, district de Gaya, nous avons bâti 4 écoles. Camijuli School et Sujata School en 2002, Jolibigha School en 2004, Nilamati School en 2005 ; tous ces établissements se situent en zone rurale. 3 centres d’apprentissage pour jeunes filles ont été ouverts durant cette même période ; à Camijuli en 2003, à Sujata en 2004 ; à Jolibigha en 2005. 2. Dans l’Etat du Bengale, aux îles Sunderbans, nous avons construit 3 écoles. Ganga Sagar School en 2005, Srifaltala School et Purba Jatta School en 2007. En outre, nous avons mis en place, en 2007, 2 programmes de "suivi scolaire" pour des enfants de familles pauvres qui poursuivent leurs études à l’école publique. 3. Dans l’Etat du Rajasthan, district de Jaisalmer, nous avons érigé 3 écoles. Satyadev School en 2005, en périphérie de la ville de Jaisalmer ; et les écoles de Nanufuji et de Vidyasagar, construites en plein désert du Thar, au cours de l’année 2006. Nous organisons également un programme de "suivi scolaire" à Jaisalmer. Depuis le début des années 2000, nous avons développé nos activités, essentiellement en zone rurale. C’est en effet dans les campagnes que les besoins nous ont paru les plus manifestes ; et c’est aussi dans ces régions que la présence d’autres organisations de soutien se font rares ! Nous expliquons ici notre volonté de fonder notre propre structure « Ecoles de la Terre » en Inde, de former des équipes solides et stables, afin de développer des programmes avec des objectifs précis . Suite à nos premières années dédiées principalement aux programmes scolaire et médical, nous comptons poursuivre dans cette voie, mais en tenant compte d’indispensables projets de développements socio-économiques, nécessaires à la cohésion et la pérennité de notre action en faveur des enfants et de leurs familles. Dès le printemps 2007, nous avons régulièrement organisé nos « national meetings » d’Ecoles de la Terre Welfare Society. Les responsables de nos quatre branches pour les Etats fédérés du Bihar, de l’Ouest Bengale, du Rajasthan et du Territoire de Delhi, qui ont le statut de « Membre » de la société, se rencontrent à ces occasions ; ils assument les fonctions directrices de la Présidence, du Secrétariat Général et de la Trésorerie. 3.1 POURQUOI CETTE NOUVELLE STRUCTURE ? Ecoles de la Terre Welfare Society a son siège à Delhi et est enregistrée sous le « Society Registration Act, 1860 » auprès du département fédéral de l’Intérieur – Ministry of Home Affairs. Par ailleurs, la société bénéficie également de la « Prior Permission to receive Foreign Contribuation of the Foreign Regulation Act 1976 », autorisation de recevoir des fonds de l’étranger. Cette structure juridique est essentielle pour plusieurs raisons. • Alors que les ONG tendent à se multiplier en Inde, comme un peu partout ailleurs, cette inscription officielle auprès des autorités compétentes permet à « Ecoles de la Terre » de se positionner officiellement sur un registre authentifié des sociétés civiles à caractère humanitaire. Il est important que les organisations non gouvernementales – ONG – soient soumises aux règles en vigueur dans le pays où elles travaillent. Les contrôles – ou les audits annuels – du gouvernement central, avec la collaboration des Etats et des Territoires, sont nécessaires ; cela, afin d’éviter que ne se généralise la création d’ONG artificielles. • Ce nouveau statut favorise notre collaboration avec les instances du gouvernement pour ce qui touche à la coopération et au développement. De plus, il nous permet de légitimer nos requêtes de partenariat et de collaboration ainsi que de justifier nos futures demandes de subvention. • Du fait de nos activités réparties sur l’immense territoire indien – nos écoles les plus éloignées sont distantes de plus de deux mille cinq cents kilomètres –, nous pouvons ainsi travailler de manière plus cohérente, dans une structure stable, tout en tenant compte des particularités et des traditions propres à chaque Etat fédéré. • Cette nouvelle structure nous permet d’organiser, d’aménager et de rationnaliser nos nouveaux programmes qui tendent à pérenniser nos projets ; ce plan de durabilité est la conséquence de notre objectif prioritaire qui cible avant tout l’autofinancement pour nos programmes de scolarisation, d’apprentissage et de santé. 3.2 LES PROJETS QUI VISENT L’AUTONOMIE ! Atteindre l’autofinancement dans la gestion de nos programmes est devenu un objectif prioritaire qui vise bien entendu à éviter aux populations que nous soutenons l’affligeant syndrome de la dépendance. Par ailleurs, les récentes difficultés rencontrées dans l’économie mondiale se répercutent dans les engagements financiers en faveur des projets de type humanitaire. Si cette période peut être considérée comme délicate en matière d’investissements pour nos programmes, il n’en demeure pas moins qu’elle représente aussi une opportunité d'explorer d’autres alternatives de financement de nos « projets ». Nous travaillons donc dans cette direction. A ce jour, 2 types de projets sont déjà lancés par « Ecoles de la Terre Welfare Society » dans le but de générer des ressources afin de financer nos programmes de scolarisation, d’apprentissage et de santé. Nous vous les présentons brièvement ci-dessous. Afin de mieux financer le fonctionnement des écoles et des centres, nous avons décidé d’adopter une politique de financement autre que celle dite « de charité ». Cette nouvelle approche est la suivante ; si nous souhaitons promouvoir à plus long terme l’éducation des enfants les plus démunis, nous devons également concourir à l’accroissement des revenus de leurs familles, afin qu’elles puissent améliorer leur propre niveau de vie et ainsi participer plus activement à leur éducation. Nous avons donc lancé notre programme « Micro Finance » qui consiste en l’octroi de prêts aux mères habitant les zones urbaines et semi urbaines. D’une part, nous visons l’amélioration des conditions socio-économiques des familles à travers le soutien à la création de petites entreprises . D’autre part, les bénéfices, soit les intérêts de ces opérations financeront les charges de fonctionnement de nos unités scolaires et médicales. Ce nouveau programme fonctionne depuis l’automne 2009 et connaît, depuis son lancement, un grand succès. Avec l’appui logistique d’un institut de « micro-crédit » basé à Calcutta , afin de bénéficier de compétences en Inde pour la formation de nos équipes et le suivi de nos opérations, nous avons, à ce jour, octroyé un volume de prêts se chiffrant à 2 millions et 500 mille roupies indiennes. 500 familles bénéficient désormais d’un soutien grâce à ce programme mis en place dans le district de Jaisalmer, au Rajasthan, dans les îles Sunderbans de l’Ouest Bengale et dans le district de Gaya, au Bihar. Entre décembre 2010 et janvier 2011, 200 nouveaux prêts de 5'000 roupies seront octroyés à autant de familles. 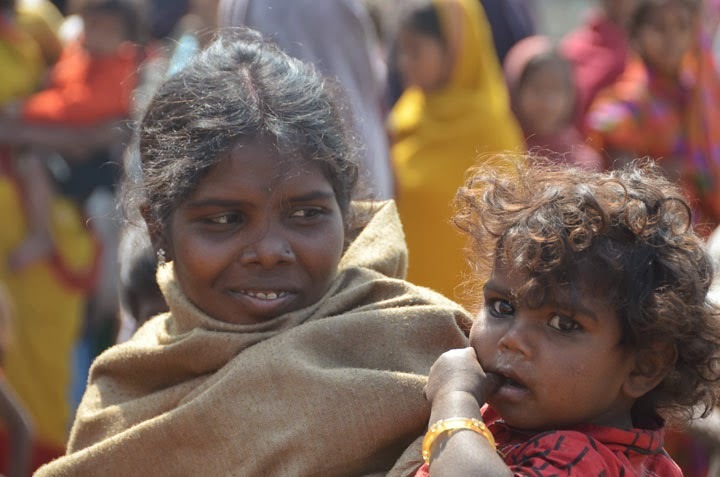 Notre objectif à court terme est d’engager un volume de crédits de 10 millions de roupies indiennes; à savoir le financement pour 2000 femmes d’un prêt de 5 mille roupies. Sans tenir compte des « recapitalisations » en cours de prêts, un tel volume représente, pour Ecoles de la Terre Welfare Society, un gain de 1 million et 560 mille roupies attribuables au fonctionnement des écoles. Ce projet vise, comme le précédent, à produire des ressources propres à financer les dépenses de fonctionnement des écoles et des programmes – apprentissage, santé & hygiène. Il s’inscrit donc lui aussi, dans le cadre de notre assistance aux enfants – programmes école et apprentissage –, aux parents – programme micro finance et planning familial –, aux patients – programme médical et dispensaires pour enfants et adultes. Ce projet recouvre à ce jour 2 types d’activités que nous présentons ci-dessous. Fermes pédagogiques. Né de notre préoccupation d’offrir aux jeunes des campagnes des perspectives de formation dans les domaines de l’agriculture, de l’élevage et de la vente de produits agricoles sur les marchés locaux, ce nouveau programme voit le jour au cours de cette année 2010, dans le district de Gaya, au Bihar ; une deuxième ferme est prévue sur l’île de Kultali, dans les Sunderbans, Ouest Bengale. 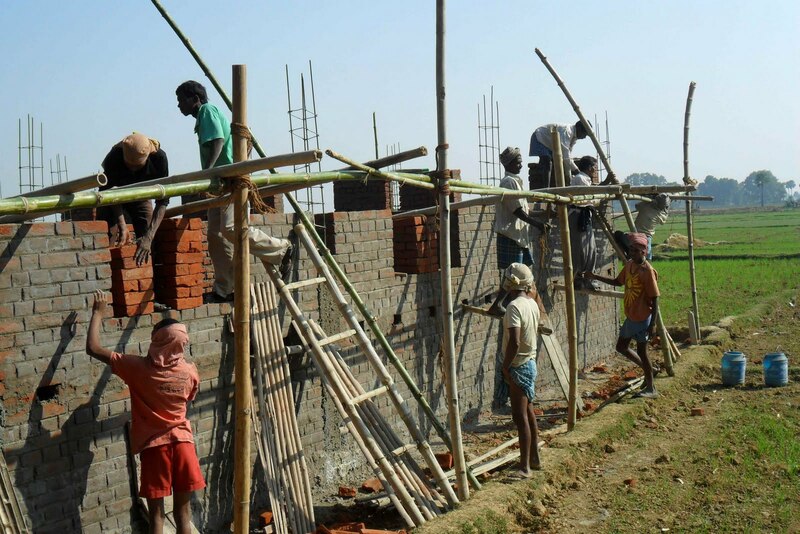 Notre ferme du Bihar fonctionne depuis le mois de janvier dernier ; les premiers groupes d’élèves bénéficient d’ateliers de formation à la ferme. Celle de Kultali commencera ses activités au début 2011. Là aussi, l’objectif est d’attribuer les revenus du programme au financement des charges de fonctionnement d’Ecoles de la Terre Welfare Society. Nous prévoyons d’établir un budget de recettes pour l’année 2011. Medical Store. À Jaisalmer, nous avons ouvert en mars 2010 une « antenne médicale permanente » en faveur des habitants de plusieurs quartiers pauvres – bidonvilles – proches de la ville de Jaisalmer : Bhoota, Geeta, Garfoorbatha. Dans ce dernier quartier, Ecoles de la Terre Welfare Society a ouvert en 2008 une nouvelle école du nom de « Sunbean ». Au bénéfice d’une autorisation du gouvernement, nous y assurons la distribution de médicaments et d’autres articles paramédicaux ; par ailleurs, un médecin, rattaché à notre dispensaire, prodigue les soins de santé aux habitants de ces quartiers – interventions d’urgence, injections, suivis de traitement, etc..
Nous pratiquons des prix inférieurs à ceux appliqués dans les autres établissements médicaux de ce type en ville de Jaisalmer. Notre but est d’offrir des prestations plus avantageuses aux habitants de ces quartiers, tous très pauvres. 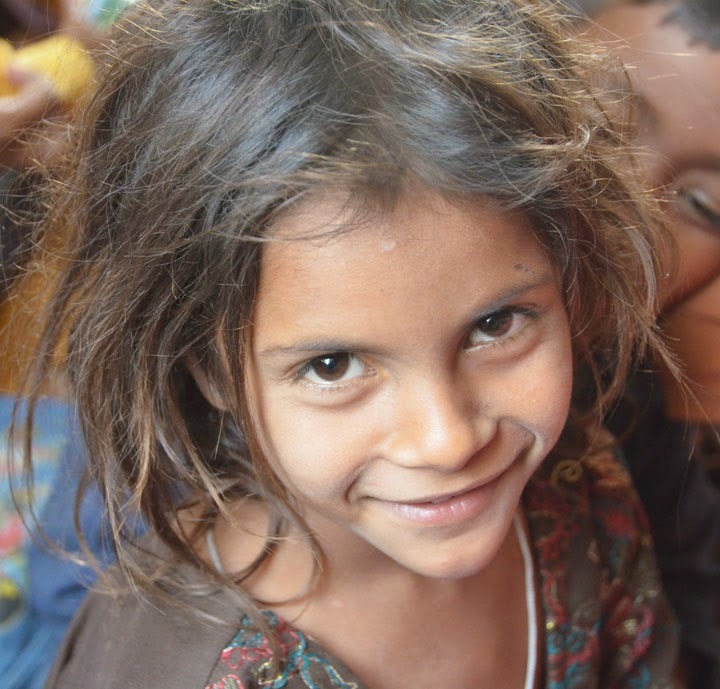 Nous avons budgété pour cette année 2010 un bénéfice net de 100'000 roupies qui sera affecté au budget de fonctionnement de nos écoles du district de Jaisalmer. 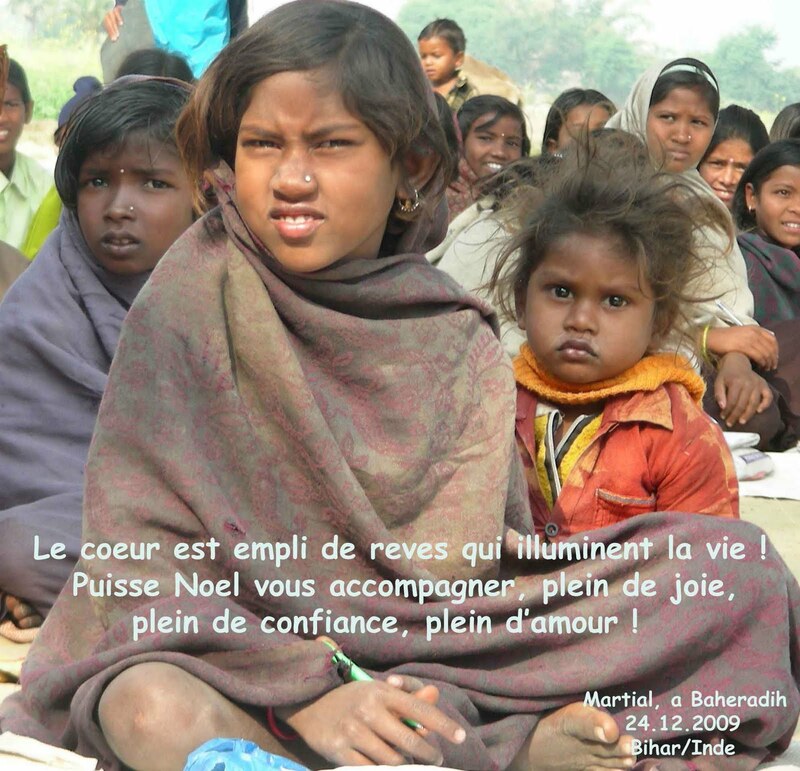 Nous insistons, depuis la fondation d’Ecoles de la Terre Welfare Society India, au printemps 2007, sur la nécessité de créer les conditions propres à lui offrir les moyens de fonctionner, non pas seulement sur la base des fonds investis par Ecoles de la Terre Association Switzerland, mais également sur sa capacité de générer ses propres ressources sur le territoire indien. Cet objectif d’indépendance et d’autonomie est prioritaire ; il s’inscrit au premier chef au travers de nos nouveaux programmes déclenchés en Inde au cours de ces dernières années. Notre volonté est de développer notre Plan « Micro Finance » ainsi que de multiplier nos nouvelles activités de « Projets Entreprises » dans toutes les branches « Ecoles de la Terre » des Etats fédérés du Bihar, de l’Ouest Bengale, du Rajasthan et du Territoire de Delhi. 1) Mise en service, à l’automne 2007, de notre premier dispensaire rural, dans le complexe de notre école de Camijuli, dans le district de Gaya de l'Etat fédéré du Bihar. Cette clinique rurale assure la gestion de plus de 2000 consultations mensuelles destinées à la population de 15 villages de ce district, ainsi que le suivi médical des 1000 élèves de notre école. 2) Ouverture de deux nouvelles écoles au courant de l'année 2008. Il s'agit de l’école de village de « Saraswati » au district de Gaya, Bihar, ainsi que l’école « Sunbean » au bidonville de Garfoorbatha, près de Jaisalmer, au Rajasthan. 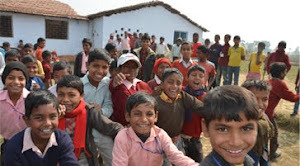 3) Démarrage, en avril 2009, au bidonville de Dilchau Kalan, à New Delhi, de l’école « Muskan »; c'est notre premier établissement scolaire ouvert sur le territoire de Delhi, où se trouve le siège de notre nouvelle structure "Ecoles de la Terre Welfare Society. 4) Inauguration, au mois de mars 2010, de notre première ferme pédagogique en zone rurale du district de Gaya, dans le village de Nain Bigha, au Bihar. L'objectif de ce nouveau domaine est double. D'une part nous exploitons les terres, en culture maraîchère et gestion d'un cheptel; d'autre part, nous organisons un centre d'apprentissage destiné aux jeunes de la région afin de les initier et les former aux métiers de l'agriculture et de l'agronomie. 5) Ouverture en juillet 2010 de l'école de «Meharajot» dans le désert du Thar, au Rajasthan. 120 enfants, jusqu'ici non scolarisés, ont ainsi commencé leurs études; ils habitent les villages d'Achala, Kirada et Lala, situés à 60 kilomètres de Jaisalmer. Dans l'attente d'une donation de terrain afin d'y construire le bâtiment d'école, nos trois enseignants donnent aujourd'hui leurs cours dans des locaux de fortune mis à notre disposition par des habitants de cette région. 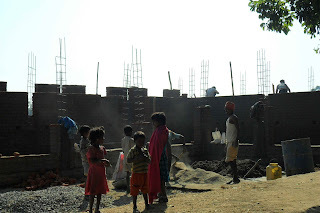 6) Construction de l'école « Naba Kishalay », au village de Sonatikari, sur l’île de Kultali des Sunderbans, dans l'Etat fédéré du Bengale. A cette école, inaugurée le 15 août 2010, est annexé un dispensaire destiné aux élèves et aux habitants de cette petite île. Par ailleurs, nous prévoyons à Sonatikari, pour l'année 2011, le démarrage de notre deuxième ferme pédagogique qui jouxtera l'école. Nous insistions - au point 3 2. - sur l'objectif prioritaire à atteindre : soit, l'autofinancement de nos programmes d'éducation. Depuis plusieurs années, nous sommes convaincus que le seul fait de "donner", en finançant entièrement les dépenses des écoles et des centres, n'est pas une solution raisonnable pour le futur. Pour assurer la pérennité de nos programmes éducatifs - école, apprentissage et santé - nous n'avons d'autre alternative que de développer nos propres activités économiques génératrices de revenus. C'est singulièrement dans ce but que notre programme de "Micro Crédit" a été mis en place. Cette activité génère déjà des bénéfices attribués au fonctionnement de nos programmes scolaires. Nous sommes en phase de démarrage; mais notre objectif est clair : d'ici décembre 2011, nous voulons financer nos dépenses de fonctionnement à concurrence d'au moins un tiers de notre budget. Nous tenons à préciser que notre programme "Micro Crédit" vise également un autre but majeur; celui d'améliorer les conditions socio-économiques des familles. Nous l'illustrons par un exemple concret. Un groupe de femmes peut bénéficier à court terme - 40 semaines pour le programme Ecoles de la Terre - d'un emprunt, afin d'acheter des machines à coudre et du textile, puis de lancer une petite collection de vêtements. Cet exemple, choisi dans le secteur de la petite manufacture, concerne également les domaines de l'agriculture, de l'élevage, de l'artisanat, des transports, des petits commerces, des marchés locaux, etc... C'est un soutien au développement de petites activités économiques, visant à sortir progressivement les familles de la pauvreté, que nous visons par le biais ce nouveau programme. Dans cette même quête d'autonomie, nous développons notre projet "entreprise", avec toujours un double objectif; celui de générer des recettes propres à financer nos programmes d'éducation et celui d'améliorer les conditions de vie des familles. Pour à nouveau illustrer cette approche au moyen d'un cas réel, nous prenons l'exemple de la ferme pédagogique. Le produit net de notre investissement dans l'exploitation de la ferme est affecté aux programmes scolaires. Des modules d'apprentissage sont organisés à l'intention de nos élèves les plus âgés, intéressés par les métiers de la ferme. Enfin, le perfectionnement des techniques agricoles sera transmis aux paysans locaux afin qu'ils puissent réformer leurs méthodes de travail et améliorer le rendement de la terre. Nous envisageons également d'associer les deux programmes ci-dessus, programme "Micro Finance" et programme "Entreprises", afin de participer au financement des moyens de production agricole, par le truchement du "Micro Crédit". Atteindre l'autonomie des programmes d'éducation, de santé et d'assistance économique & sociale qui impliquent plus de dix mille personnes - élèves, apprentis, enseignants, médecins, infirmiers, patients, bénéficiaires de micro-crédit, paysans, etc.. - doit nous permettre d'attribuer les donations d'Ecoles de la Terre, exclusivement aux nouveaux projets. C'est sur cette voie que nous nous sommes engagés. Pour Noël 2009, nous vous parlions des enfants de Baheradi, un petit village de la campagne du Bihar, en Inde; et nous évoquions notre souhait de bâtir une école pour les enfants de cette région. Pour ce Noël 2010, nous avons le plaisir de vous informer que le bâtiment est maintenant sous toit ! Les enfants pourront s'y installer dès les premiers jours de janvier prochain. Les deux photos ci-dessous vous montrent l'avancement des travaux à la fin novembre dernier. Notre voeu était d'offrir des conditions de travail décentes aux élèves de cette région très pauvre du Bihar. C'est quasiment chose faite. Le mois de janvier est souvent très froid dans cette contrée; et l'hiver dernier fut particulièrement désagréable pour les enfants et les enseignants de Baheradi. Cette nouvelle école est comme un cadeau de la vie qu'Ecoles de la Terre peut offrir à ces enfants. Et c'est franchement du bonheur, que de pouvoir vous en faire part en cette veille de Noël ! 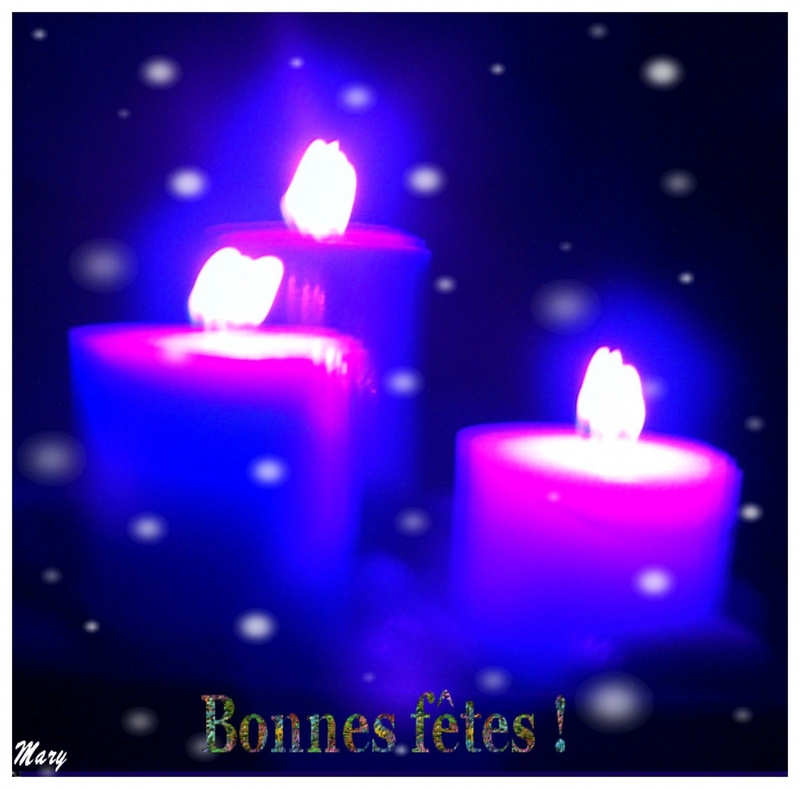 HEUREUX NOËL À VOUS TOUTES ET TOUS ! NOUS VOUS SOUHAITONS BONHEUR, PAIX ET SANTÉ ! MERCI POUR VOTRE GENTILLESSE, VOTRE COMPASSION ET VOTRE SOUTIEN !